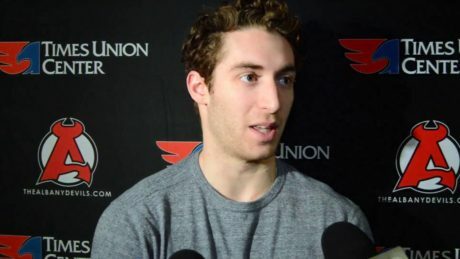 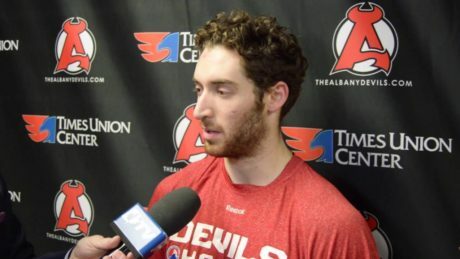 Coming off an impressive rookie campaign, Matt Lorito reflects on the 2015-16 season. 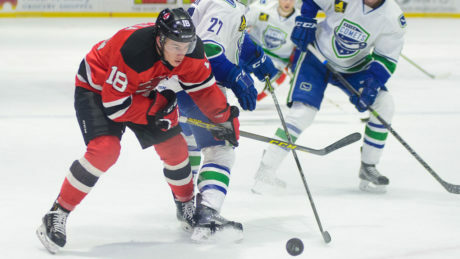 Backed by Jim O’Brien’s three-point performance, the Devils defeated the Comets, 5-1, Saturday at the Utica Memorial Auditorium. 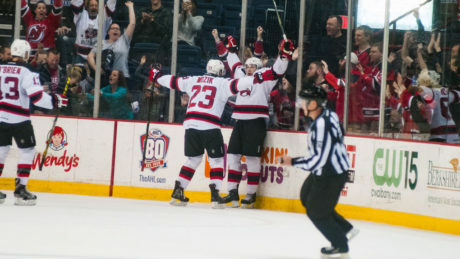 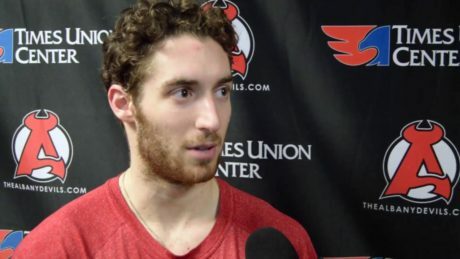 In just his third career AHL game since signing an Amateur Tryout Agreement on Thursday, Nick Lappin scored with 39.5 seconds remaining to give the Devils a 3-2 victory against the Marlies Sunday at Times Union Center. 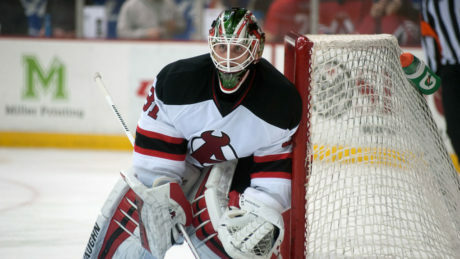 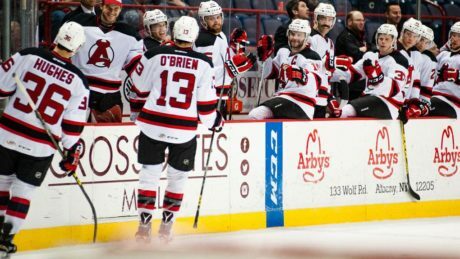 Matt Lorito forced overtime with 6.8 seconds remaining and Brian O’Neill netted the game-winning goal 19 seconds later to give the Devils a 3-2 victory against the Senators Friday. 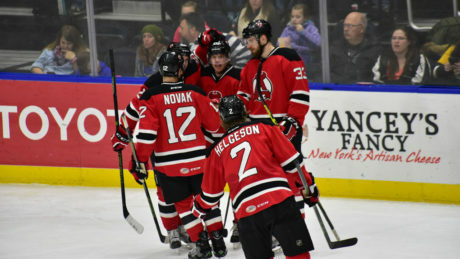 After tying the game late, the Falcons prevailed, 4-3, in overtime to defeat the Devils Friday at MassMutual Center. 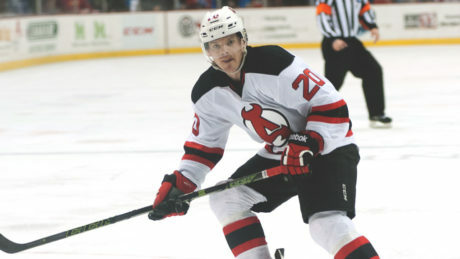 Eric Selleck scored at 2:25 of the extra frame to end the Devils six-game winning streak.